Today’s global celebration of Menstrual Hygiene Day is unlike any before. This year, the fight to end the stigma around menstruation and make menstrual supplies accessible to all has been amplified by the voice of Meghan Markle. Meghan, now the Duchess of Sussex, may be the first member of Britain’s royal family to highlight menstrual hygiene on her royal biography. She took on the cause while she was an actress on “Suits,” traveling to India and penning an article on period shaming last year that was published on International Women’s Day. 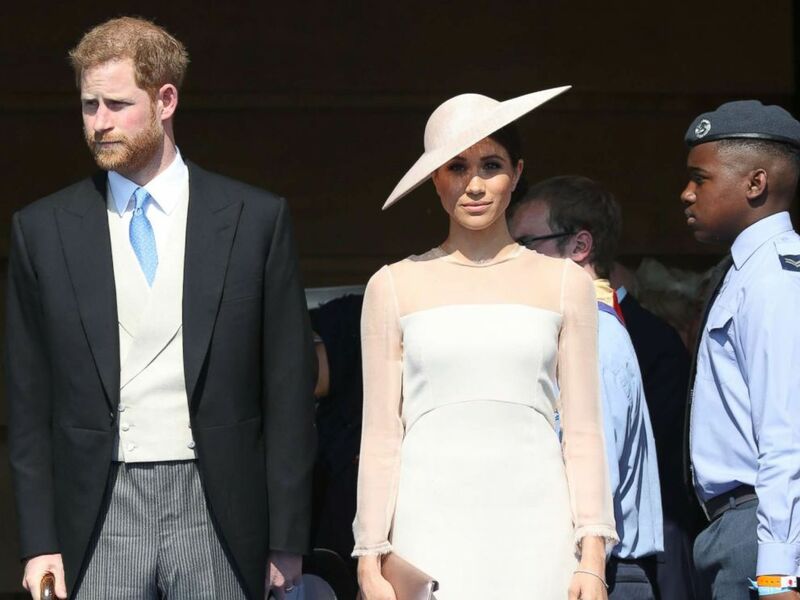 When Meghan, a self-described feminist, wed Prince Harry on May 19, one of the seven organizations the couple asked well-wishers to donate to in lieu of gifts was the Myna Mahila Foundation, a women’s empowerment organization in India founded by Suhani Jalota, a 23-year-old Duke University graduate. 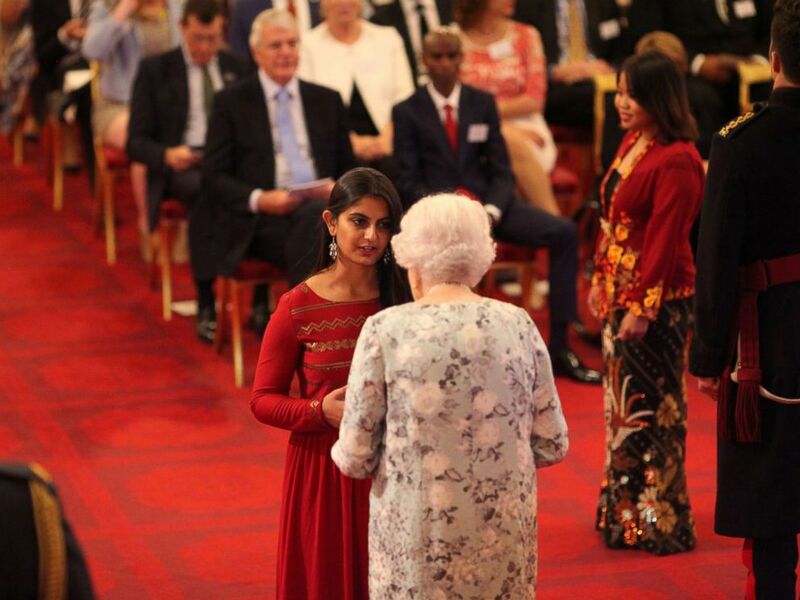 Suhani Jalota from India receives a Queen's Young Leaders Award for 2017 from Queen Elizabeth II at the 2017 Queen's Young Leaders Awards Ceremony at Buckingham Palace on June 29, 2017 in London. 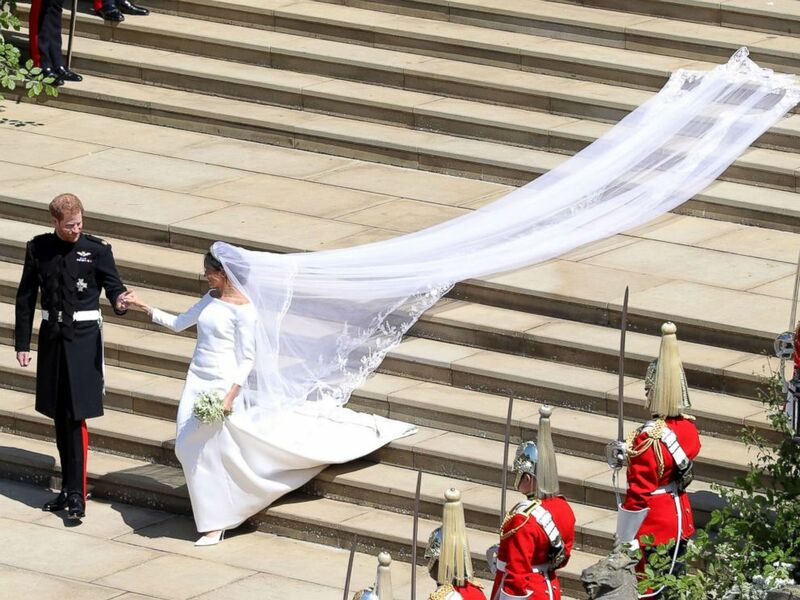 "She really knew coming in what the specifics were and why it was such an important problem," said Jalota, who traveled with Meghan in India last year. " Her conversations and questions to us were more nuanced and she definitely knew her stuff coming in." The “Meghan effect” is felt in the fashion world – everything she wears sells out – and now it is also being felt by people on the ground educating women about menstruation. 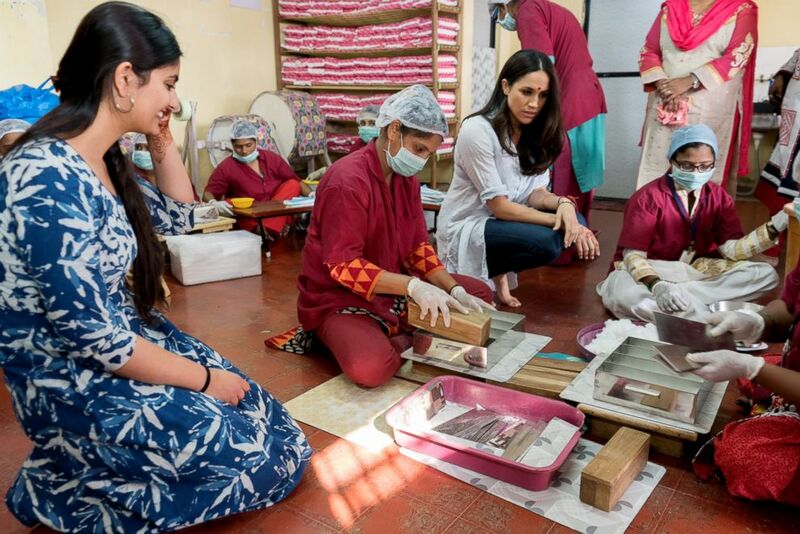 Meghan Markle speaks with women in India on a visit with the Myna Mahila Foundation. "We need more ambassadors for causes that are not just trendy, but ones that are really critical and important for us to understand," she said. "The fact that Meghan Markle is involved is absolutely amazing." Ina Jurga, international coordinator for Menstrual Hygiene Day, said advocates noticed a "really positive uptick" in attention thanks to Meghan. "[Meghan] is such a strong and articulate champion for menstrual hygiene," she told "GMA." Meghan’s own words -- "We need to rise above our puritanical bashfulness when it comes to talking about menstruation" -- are precisely the purpose of Menstrual Hygiene Day, its organizers say. Meghan Markle has made menstrual hygiene an important cause she promotes. "We want to break the silence around menstruation and menstrual hygiene and catalyze awareness, education and advocacy for the issue," said Thorsten Kiefer, co-initiator of Menstrual Hygiene Day and founder and CEO of WASH United, a Berlin-based organization that tackles the global sanitation and hygiene crisis. "By not facing it, we are putting women and girls into situations where they feel embarrassed or ashamed or insecure, and they shouldn't," he said. "It's something we need to take on if we want to promote a society where women and men are equal." Here is why Menstrual Hygiene Day should matter to you, and your co-worker, husband, sister, mother, brother, friend, wife and children too. Menstruation (periods) and the menstrual cycles begin as girls go through puberty, typically between the ages of 12 and 13. During the menstrual flow, eggs that have not been fertilized leave a woman's body. The process begins again with a new cycle, a new period and new eggs, according to the U.S. Centers for Disease Control and Prevention. "The period is a good sign of what’s going on in a woman's reproductive system," explained Dr. Taraneh Shirazian, a board-certified gynecologist at NYU Langone Health. "There definitely is a purpose to it biologically." She added, "It helps us stay healthy and helps us get pregnant and is a part of the great joys of being a woman. It's something we should embrace." In India, where Meghan met with young girls and women, 80 percent of girls face restrictions during their periods, according to WASH United. Even in parts of Europe, close to 20 percent of girls don’t know what menstruation is, Kiefer noted. The result, statistics show, is that the young girls miss school because of their periods and risk health issues due to a lack of supplies. In India, adolescent girls miss school an average of five days per month when they are menstruating, according to the United Nations. Meghan Markle meets with women in India on a visit with the Myna Mahila Foundation. Even in a developed country like the U.S., think about the last time you felt comfortable discussing menstrual cramps in the office, or faced panic because of bleeding in public during your period. "All women and girls menstruate around the world," said Jurga. "We are working to guarantee that all women can manage it with dignity and safety." The health risks that can come from not having access to supplies include toxic shock and uterine infection, according to Shirazian. Most women around the world use cloths instead of pads or tampons, which are not as sanitary and need to be cleaned frequently, taking away from time they could be in school or at work, she noted. Part of the work of Menstrual Hygiene Day is getting menstrual supplies to women. Procter & Gamble, one of more than 400 organizations that support the day, is donating one million products from its feminine brand Always to women in the U.S. this year. To put the need for supplies in context, consider that nearly 220,000 women were estimated to be homeless in the U.S. in 2016, according to the U.S. Department of Housing and Urban Development (HUD). In the United Kingdom, where Meghan Markle now lives, 10 percent of girls are unable to afford menstrual supplies, according to a report by Plan International, a girls' rights organization. The Duke and Duchess of Sussex at the Prince of Wales' 70th Birthday Patronage Celebration in the gardens of Buckingham Palace in London. The term period poverty has come to describe the lack of funding for even the most basic of period supplies like pads and tampons. And if they are lucky enough to have supplies, millions of women around the world also lack clean places to privately, and with dignity, manage their menstruation. At least 500 million women and girls globally lack facilities for managing their periods, according to a 2015 report from the World Health Organization (WHO) and UNICEF. "It’s not just about pads," said Jalota. "It’s about washing your hands with soap, having trash cans near toilets, having toilets in schools and women having underwear." Even before the supplies, though, comes the need for education, according to Kiefer. "It has to start with educating girls," he said, recalling one girl in India who said she had been told her menstruation was a curse and should be hidden. "After our training, she understood that menstruation was a normal process," he noted. "She was now confident to speak with her friends and peers about it and knew what was going to happen to her body and was not afraid anymore." Menstrual hygiene is also an issue of gender equality, experts say. The taboo of periods makes women seem inferior to men in some cultures, and when women and girls miss school and work, they lose out on opportunities to put themselves on equal footing with men. 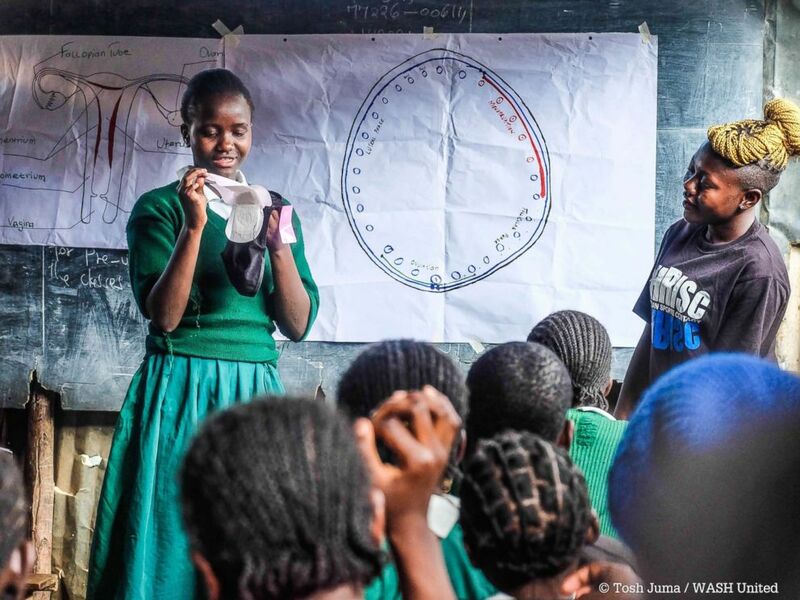 Girls in Kenya learn about menstruation. When girls and women know what is happening inside their bodies, it translates to empowerment in many aspects of their lives, noted Shirazian. "No one can make us ashamed about something that we accept and we feel empowered by," she said. "We should be empowering women to feel comfortable with their bodies." In its fifth year, Menstrual Hygiene Day has grown into a global movement of more than 400 partner organizations and 350 events in 54 countries. Last year's events reached 160 million people through social media alone, according to Kiefer. In the U.S., at least 20 events are being held today from Kentucky to New York to Hawaii. People can also join the conversation on social media. The real work, both Kiefer and Jurga note, is what anyone can do anywhere, anytime: Talk openly to your friends, family and doctor about menstruation. "That's the work 365 days of the year," Jurga said. "Don't shy away. Talk very positively about the issue because simply by talking about it, it gets into the conversation." And while menstrual hygiene helps women, it is not a women's issue. "Men really do play an important role," Kiefer said. "It's often men's attitudes that hold women back." Keifer's advice to men is this: "Never make a stupid PMS joke. Get over it and buy [women's] supplies from the pharmacy and don't ever joke about it again unless you yourself have a menstrual cramp." In Bhutan, the country's prime minister delivered a poignant message to men in the country for this year's Menstrual Hygiene Day. "Let’s raise our sons well rather than suppressing our daughters," said Prime Minister Dasho Tshering Tobgay. "If men learn to accept the changes that our women go through in a respectful manner, we automatically create an environment that is free and supportive for our girls."